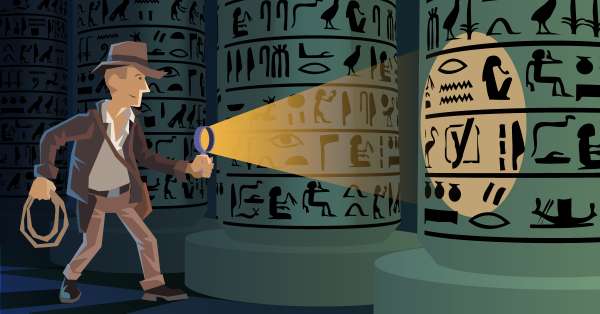 Search engines crawl your site to get the contents into their index. The bigger your site gets, the longer this crawl takes. It’s important that the time spent crawling your site is well spent. If your site has a 1,000 pages or less, this is not a topic you’ll need to think about much. If you intend on growing your site though, keep on reading. Acquiring some good habits early on can save you from huge headaches later on. In this article, we’ll cover what crawl efficiency is and what you can do about it. All search engines crawl the same way. In this article, we’ll refer to Google and Googlebot. Use categories / tags and other taxonomies for more granular segmentation. Don’t go overboard on them either. As a rule of thumb, a tag is only useful when it connects more than 3 pieces of content. Also, make sure to optimize those category archives. In Google Search Console, XML sitemaps give you an added benefit. For every sitemap, Google will show you errors and warnings. You can use this by making different XML sitemaps for different types of URLs. This means you can see what types of URLs on your site have the most issues. 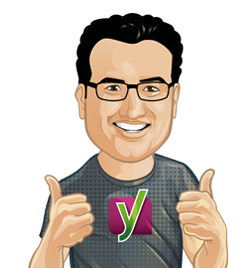 Our Yoast SEO plugin does this for you automatically. Google reports all those errors to you in its Webmaster Tools, as do Bing and Yandex. We’ve covered errors in Google Search Console (GSC) and Bing Webmaster Tools before. If you have our Yoast SEO Premium plugin, you can import and fix the errors from GSC with it. You can do that straight from your WordPress admin. You wouldn’t be the first client we see that has 3,000 actual URLs and 20,000 errors in GSC. Don’t let your site become that site. Fix those errors on a regular basis, at least every month. This is what we call a “spider trap“. Traps like these can make a search engines crawl extremely inefficient. Fixing them almost always leads to better results in organic search. The bigger your site gets, the harder issues like these are to find. This is true even for experienced SEOs. If you’re intrigued by this and want to test your own site, you’re going to need some tools. We used Screaming Frog a lot during our site reviews. It’s the Swiss army knife of most SEOs. Some other SEOs I know swear by Xenu, which is also pretty good (and free). Be aware: these are not “simple” tools. They are power tools that can even take down a site when used wrong, so take care. Thanks for the article, I have a question. Is it going to be a big problem for the crawlers if I delete my tags from the blog? They are “noidexed”, but still Screaming Frog is showing their pages as duplicate content + I see my competitors and 80$+ of them doesn’t have tags. Thanks, for sharing such an informative post. I have started using ScreamingFrog after reading this post. Hey This was really a helpful article. My tags are not ranking, what could be the issue? Hi Manqonqo, First make sure you’ve haven’t noindexed them by accident. Then check if you have optimized your tag pages. Did you add some valuable content to your tag pages? Otherwise you might have other more content rich articles that rank for your tag pages’ terms. Which is not a problem per se! Thanks for this awesome article. Nowadays crawling one of the most important questions in SEO. Using Screaming From more than 3 years, think it’s the best tool for webmasters.